Ramona Diaz is a filmmaker whose credits include SPIRITS RISING, an hour-long documentary about women’s roles in the 1986 People Power revolution in the Philippines. SPIRITS RISING received a Student Academy Award, the Ida Lupino Director's Guild of America Award, a Golden Gate Award from the San Francisco International Film Festival, and a Certificate of Merit from the International Documentary Association. SPIRITS RISING has been screened internationally and has been broadcast on public television stations in the United States and Australia. Diaz’s film, the ITVS, Sundance, and Center for Asian American Media-funded IMELDA, a full-length documentary about the former First Lady of the Philippines, garnered the Excellence in Cinematography Award for documentary at the 2004 Sundance Film Festival and the ABCNews Videosource Award from the IDA. The film was released theatrically in the United States and the Philippines, screened in over fifty film festivals around the world, and was broadcast on Independent Lens on PBS in May 2005. Diaz most recent PBS film, the ITVS, Sundance, and CAAM-funded THE LEARNING, is a documentary that follows several Filipino teachers in Baltimore City across two school years, chronicling the sacrifices they make as they try to maintain a long-distance relationship with their children and families, and begin a new one with the mostly African-American students whose schooling is now entrusted to them. The film was part of POV’s 24th season on PBS. Diaz is currently in production on THE BILL (working title), a hybrid documentary film about reproductive justice funded by ITVS, Sundance, and Chicken & Egg. Diaz is also in development on PACIFIC RIMS, based on a book by the same name written by Rafe Bartholomew, which looks at the Filipino national character through the country’s obsession with basketball. 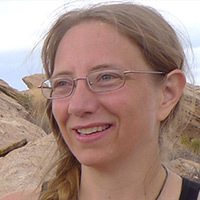 Prior to pursuing a career as an independent filmmaker, Diaz was an associate producer for CADILLAC DESERT, a major PBS documentary series about the quest for water in the American West. In 2005, Diaz broadened her repertoire to include television commercial directing and producing. Diaz is a graduate of Emerson College, Boston, and holds an MA in Communication from Stanford University. 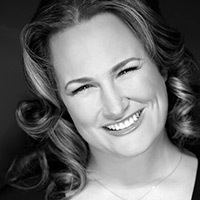 Capella Fahoome founded Defining Entertainment in 1994 with the mission of creating good and meaningful programming that documents powerful stories of the human spirit. With Fahoome's commitment and perseverance, Defining Entertainment has done just that. She has an impressive portfolio of multiple narrative and documentary feature films, television series, national television commercials, as well as a long list of PSAs and short films. Fahoome produced the independent feature film EUPHORIA (Houston WorldFest, Santa Fe Film Festival, Maryland Film Festival) with a $1,000,000 grant from the National Institute of Health. EUPHORIA traveled the country exploring the mindless pursuit of the “American Dream” using a variety of props and visual metaphors. While intended for a teenage audience, EUPHORIA has captivated a much broader following. Fahoome is also a creating producer of “Random 1,” an original A&E TV series that followed a grassroots organization attempting to positively impact strangers lives through human connections. Following “Random 1,” Fahoome produced LOST IN WOONSOCKET (SXSW, currently part of OWN’s Super Soul Sundays), a documentary about two homeless alcoholics and their journey to regain relationships with their families and find their place in society again. Among the narratives Fahoome produced was I DO & I DON’T, a feature-length comedy starring Jane Lynch (“Glee,” TALLADEGA NIGHTS, 40 YEAR OLD VIRGIN). The entire movie was shot on location in Baltimore with a local crew. Fahoome resides in Baltimore with her husband and children. She grew up in Detroit and holds a degree in psychology from the University of Michigan. Green is a partner in New York-based production/distribution outfit, Game 7 Films. He associate produced Sona Jain’s FOR REAL and Ann Hu’s BEAUTY REMAINS. He executive produced Kief Davidson’s acclaimed IFC Films documentary KASSIM THE DREAM (2009). In addition to DON’T STOP BELIEVIN’: EVERYMAN’S JOURNEY, Green produced Roger Paradiso’s documentary on the original Sugarhill Gang, I WANT MY NAME BACK, also slated for a 2013 release through Image Entertainment. Green is in post-production on Academy Award nominated filmmaker Daniel Anker’s documentary on directing icon Sidney Lumet. Also, Game 7 is attached to produce contemporary South African western, FIVE FINGERS OF MARSEILLES, set for production in Spring 2013. Green previously served as the Vice President of Distribution for New York-based Emerging Pictures. He was responsible for securing new exhibition venues for Emerging’s digital cinema network, which has more than 140 locations in the U.S., and for managing marketing efforts for the network. Green further coordinated the distribution campaigns for exclusive HD programming playing at Emerging Pictures venues, including independent and classic films, cultural programs like operas and ballets, and other special events. Green has previously acted as a sales agent/producer’s rep to secure third party distribution for completed films, and managed Emerging’s theatrical and DVD distribution businesses while they existed, coordinated campaigns for many films. All in, Green has had an agency or direct distribution role on more than 50 films. Green is a frequent speaker at film industry panels, schools, workshops, and other festival events. He holds an MBA from Columbia Business School and an undergraduate degree from Cornell University. As an alumnus of the Rhode Island School of Design painting department, Jung Choi has always brought a fine artist’s perspective to story telling. Choi is one of the founders and original visual arts curators of the Kearny Street Workshop’s multidisciplinary youth arts exposition, APATURE, showcasing the works of emerging Pan Asian artists. While a part of the public television department at the Center for Asian American Media, a publicly funded member of the Public Broadcasting Service minority consortium, he produced web sites hosted on PBS.org that promoted national broadcasts of films for, by, and about the Asian American community. During his six years at the Center for Asian American Media fostering and creating new content for the public television market, he became intimately familiar with the challenges and rewards of independent documentary production. Giving voice to marginalized communities and bringing minority programming out of the interstices of the human experience and to the fore has been at the center of Choi’s work. Freelance credits include serving as associate producer for the nationally broadcast series “Searching for Asian America.” Other credits include location sound department for Wayne Wang’s, THE PRINCESS OF NEBRASKA, as well as the critically acclaimed HBO series, “Russell Simmons Presents Brave New Voices.” LOST AND FOUND: THE LEGACY OF USS LAGARTO earned him an Emmy nomination in the camera department. Choi served as associate producer and director of photography for the upcoming eponymous feature documentary about the ukulele virtuoso, JAKE SHIMABUKURO. Choi and Chihiro Wimbush, a 2011 Bay Area Video Coalition Media Maker fellow, founded K Pacific Productions. Together they have produced short films profiling fine artists and exceptional personalities. Whether bearing witness to the challenges of immigrants in America, documenting the process of installation artists, discovering hermetic savant artist engineers in the wilds of Oregon, traveling cross-country with conspiracy theorists, or covering the awarding of the Congressional Gold Medal to the Japanese American veterans of World War II, Choi and K Pacific are dedicated to giving agency to voices in the periphery. 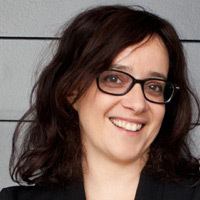 Leah Marino has edited a number of documentary features that have aired nationally. 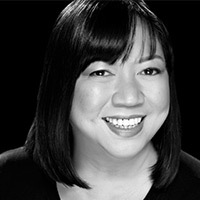 Most recently, she edited Ramona Diaz’s, THE LEARNING, a story of Filipino teachers recruited to work in inner city Baltimore that aired on POV in September 2011. She also worked on PORTRAIT OF A WALLY, about a painting seized from the Museum of Modern Art in New York City because of a Holocaust dispute. Marino has also edited THE CREEK RUNS RED, about an environmental super-fund site in Oklahoma, which aired on Independent Lens; the racing documentary GET BACK TO DIRT, the first independent film to show on Speed TV; and LIGHT FROM THE EAST, a documentary film about an American actress’ exploration of events inside the Ukraine during the Soviet Union’s collapse, which premiered at the 2005 SXSW film festival. Marino also edited Diaz’s IMELDA, which won numerous awards, including an IDA award for use of archival material. Marino started her professional career as an assistant editor on “Chicano: A History of the Mexican American Civil Rights Movement,” a four part series that aired on PBS in 1996. She currently lives and works in Austin, Texas. Julia Dengel's career as a producer, director, and cinematographer has spanned four continents. Her first documentary feature—COWBOYS, INDIANS, & LAWYERS, about Western water politics—aired on PBS in 2007. She has worked as a documentary cinematographer since 1993, contributing to such films as Daria Sommers and Meg McLagan's LIONESS, about American women soldiers who fought in Iraq (aired on Independent Lens); Jennifer Fox’s MY REINCARNATION, about Tibetan Buddhist teachers Yeshe and Namkhai Norbu (released theatrically and premiered POV’s 25th season in 2012); Kim Snyder’s WELCOME TO SHELBYVILLE (aired on Independent Lens); Cynthia Wade’s “Hope Against Hunger Sesame Street Special” (aired on PBS) and LIVING THE LEGACY (aired on Independent Film Channel); and Rachel Grady’s CNN Heroes Special, “Double Amputee Finds a Cause.” Dengel also served as associate editor for AN AMERICAN LOVE STORY, a ten-part documentary series co-produced with American Playhouse that aired nationally in 1999. Dengel’s most recent work will be featured in Jacob Cohl’s film on the making of Broadway’s Spiderman: Turn off the Dark; Susan Kaplan’s FALLOUT, chronicling the battle over an aging nuclear power plant on the Jersey Shore; Stephanie Riggs’ THE STANDBYS, an exploration of the struggles of Broadway understudies; and Martina Radwan’s moving exploration of homeless children in Mongolia. 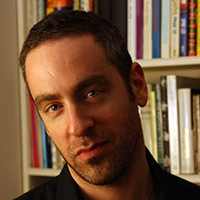 Dengel’s work has been supported by numerous foundations, including the New York State Council on the Arts, the Colorado Council on the Arts, Independent Television Service, the Wellspring Foundation, the Kenney Foundation, the Haymarket People’s Fund, and the Paul Robeson Fund for Independent Media.